iTube Studio for Mac helps you to make all online videos become yours. 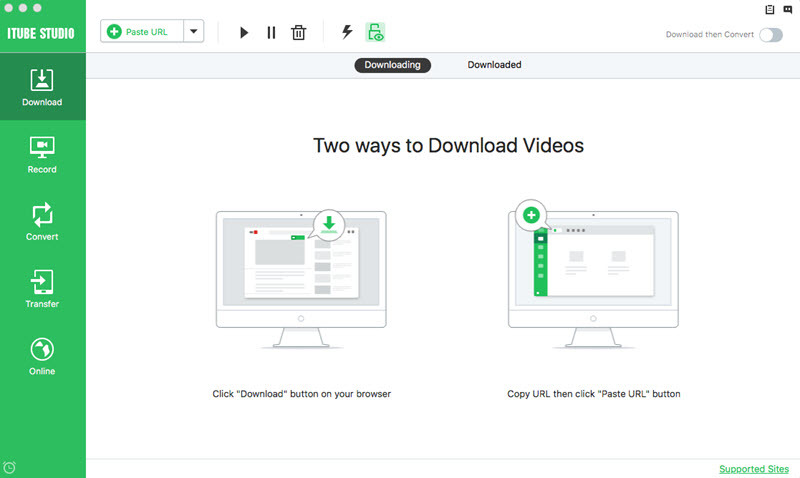 It is the fastest video downloader for Mac, allowing you to download videos from 10, 000+ sites, including YouTube, Dailymotion, Facebook, Instagram, Vimeo, Vine, Soudcloud, Animeultima.io, Lynda, Crunchyroll, Niconico, VEVO, Metacafe, Bilibili, FC2, and more on your Mac (OS X 10.12 macOS Sierra, EL Capitan, Yosemite and Mavericks included). With this Mac video downloader, you can also convert videos to any video and audio formats to enjoy the videos anywhere anytime. Download iTube Studio for Mac and start your video trip!